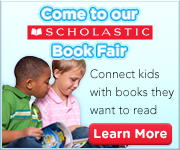 To everyone who came to our Book Fair, and to all who helped make it a great experience, a big thank you! Keep on reading; and remember, you can continue to purchase books via our online fair through November 11, 2014! Andrea Jamison is a self-published author, educator, and professional librarian with over 15 years of experience working in schools and libraries. She has experience working with students at the elementary, high school, and college level. This unique combination of experience gives her the foresight needed to help plan and implement innovative library services that are designed to help students throughout their academic pursuits. ← Get Your Ticket to “Read”!